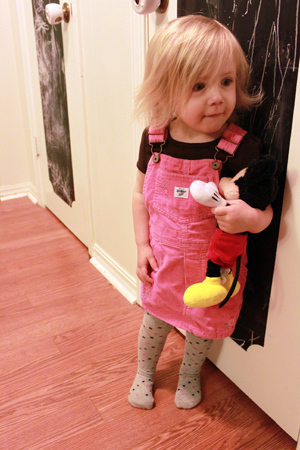 So I know you've been dying to see new pictures of presh-presh Violet gallivanting around the Bloomfield home! 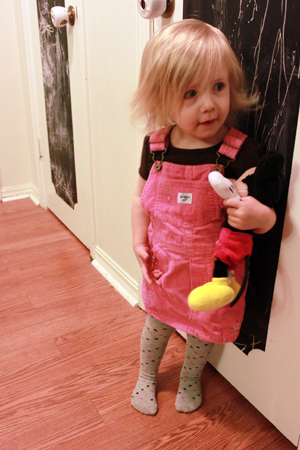 My little 2 year old looked especially cherub-like yesterday in her pink OshKosh B'Gosh jumper and pretty polka dotted tights from Target. Her hair is getting so long, and flips out on the sides. Of course Mickey Mouse was along for the ride. 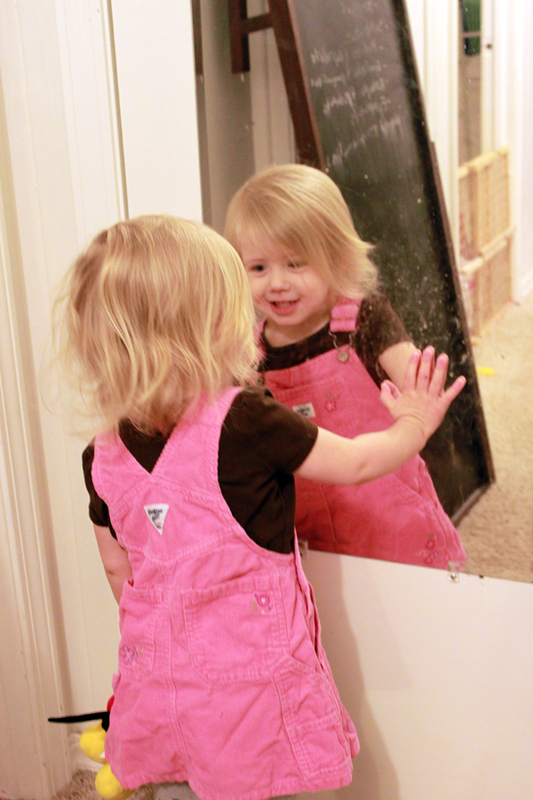 Violet loves to get dressed for "school" every morning, then run to the hall closet mirror and take a "picture", as she calls it (please ignore the dirty smudged mirror!). Then she runs to her daddy and shows him her outfit. She is somewhat of a tomboy usually, but WOW does she love her clothes! Golly, they grow up fast.